Occasionally, I was given assignments to write about food and beverages promotion. And sometimes, I went for food reviews. Few weeks ago, I went for a food review all the way in Bau (40 to 45 minutes drive from Kuching). The victim of my review was a pork burger. When comes to writing about food, I always try my best to let the readers taste the food through my writing. It was not an easy job for me, I admit. More than once I found myself struggling to find the right word to describe the taste. Nevertheless, writing food review could be exciting. You taste the food, describe the food in honesty, politeness and accuracy. In the end you just hope that you give a fair description for both readers and food provider. Here are some ways I used to describe this Pork Burger. 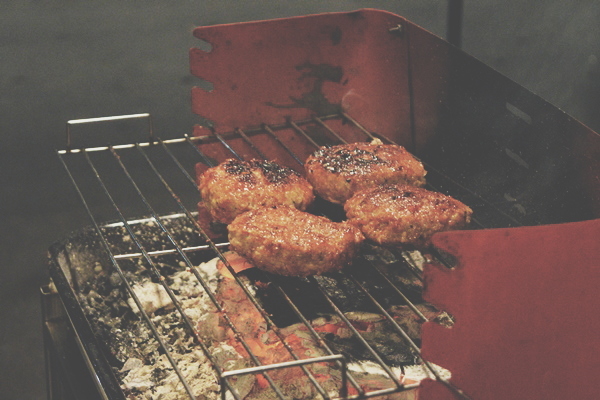 The time the patties spent on the grills was favourable because it concealed the taste of the pork and allowed the meat to marinate in its own juices without losing its tenderness. In the end, the mildly tangy but not over-powering black pepper sauce was what sealed the deal making these pork burgers really worth driving out to Bau for. Read the article here A blast of flavour.